29-year-old Julia Ionina became the most beautiful woman in the world. On August 11, 2014 Russian beauty won the title of Mrs. Queen Beauty World 2014. The contest was held in Ecuador. There were 40 participants from different countries, who wanted to become the most beautiful married woman on the planet. But Julia from St. Petersburg was the best. “I am very glad that everything worked out great for me. This is a great achievement for me, and, in general, for participants from Russia” beauty said in an interview. The annual national contest Beauty of Russia was held on November 25, 2013 in the Moscow concert hall Rossia. 51 participants from different parts of the country were dreaming to get the prestigious title. Anastasia Trusova was the first! 24-year-old beautiful girl from Vladimir became an owner of a crown with diamonds. The winner was awarded not only the crown and title, but also a right to represent Russia at the international beauty contest Miss Earth 2014. The jury consisted of 20 members. Ned Bellamy, Hollywood celebrity, famous for his roles in Shawshank Redemption, Being John Malkovich and the TV series The Clinic, was among them. Such stars as Swedish singer Bosson, with the song One in a million and French F.R. David with his hit of all time Words performed at the contest. The Tolmachevy sisters are Russian singers, Junior Eurovision Song Contest 2006 winners, Eurovision Song Contest 2014 participants. Anastasia and Maria are twins, who were born on January 14, 1997 in Kursk, Russia. You know, Anastasia is 8 minutes older than her sister. Girls began to study music at the age of six. Their mother, a musician, noticed her daughters’ special musical abilities. 9-year-old girls won the Junior Eurovision Song Contest 2006 in Bucharest, Romania. They performed their own song Spring Jazz. In 2007, Nastya and Masha received Muz – TV special prize for the victory in the Junior Eurovision Song Contest. Also they participated in the opening ceremony of Slavic Bazaar. In the same year, the girls released their first album Halves (Polovinki). By the way, in the New Year musical The Kingdom of Crooked Mirrors, filmed in 2007, Masha and Nastya sang together with Alla Pugacheva. Then they met his future mentor Philip Kirkorov. Beauty contest Miss Russia is the most famous and prestigious competition. National final of Miss Russia 2014 contest was held at the Concert Hall Barvikha Luxury Village on March 1, 2014. 50 girls from all over the country competed for the prestigious title. 23-year-old Yulia Alipova from Balakovo (Saratov region) was the best. She was awarded the title of Miss Russia 2014. The winner received not only the title, but also a cash prize (100 thousand dollars), the keys to a beautiful new car Huyndai Solaris, exclusive crown made of white gold with diamonds and pearls, as well as the chance to represent Russia at the Miss World and Miss Universe pageants. 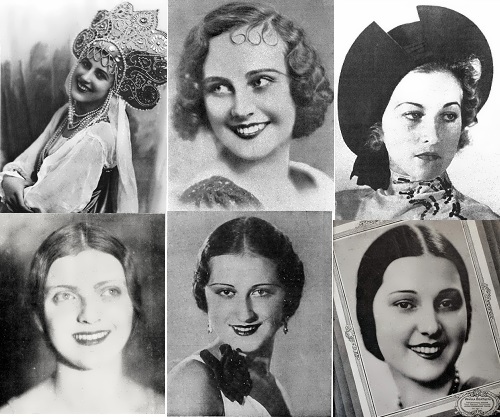 The story of the beauty contest Miss Russia began in Paris in the 20s of the last century. From 1926 to 1928, the winner received the title of Queen of the Russian Colony in Paris and since 1929, the competition had become known as Miss Russia. The participants were chosen only among Russians, who emigrated to France after the 1917 October Revolution and the subsequent Civil War. The Russian-language magazine Illustrated Russia became the main organizer of the pageant.